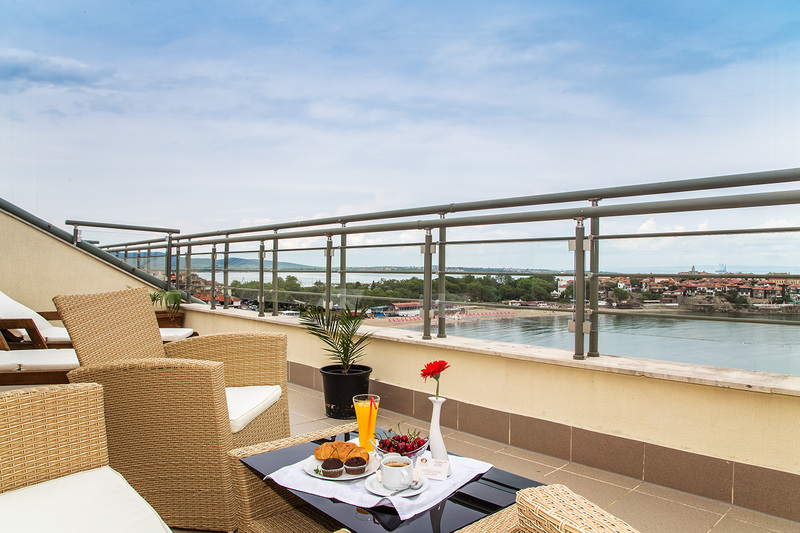 VIP apartment is stylishly furnished spacious apartment situated on the top floor of the hotel. 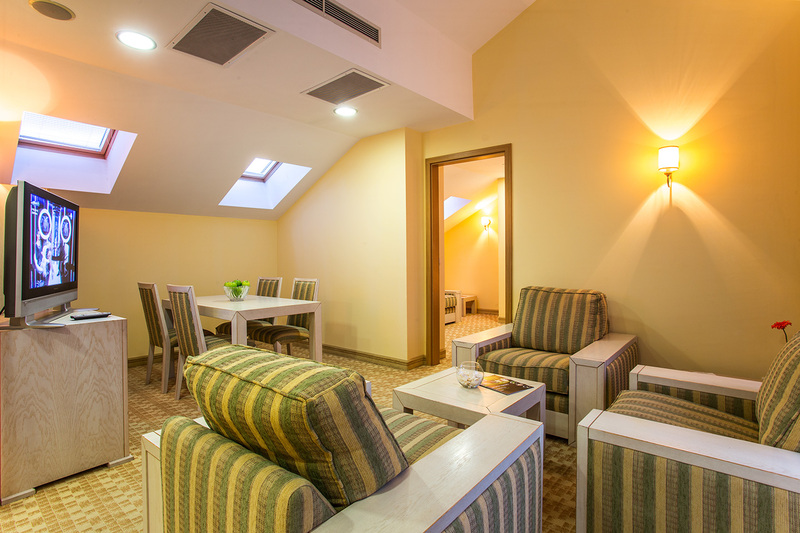 VIP apartment is the largest and most luxurious suite in the hotel "Coral". It consists of 2 separate bedrooms with 4 beds and exquisite dining room. 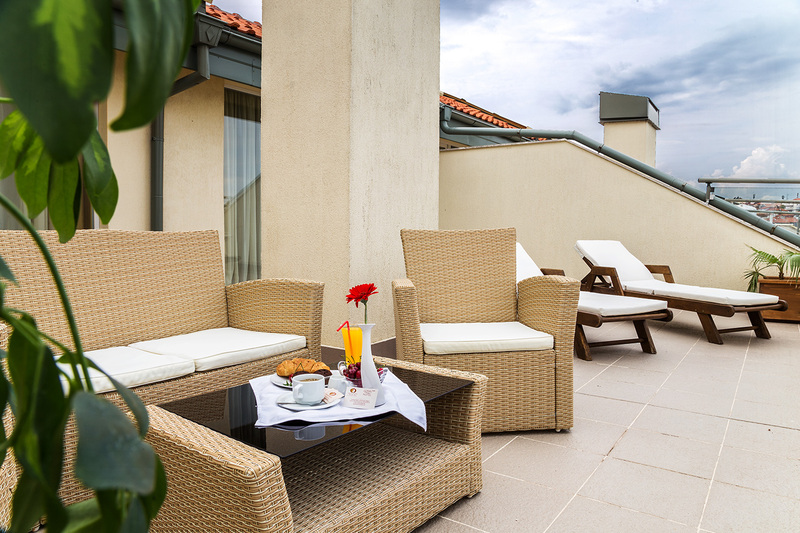 The balcony of the apartment has a sofa and reveals romantic views of the Gulf, the Old Sozopol and the vast sea. 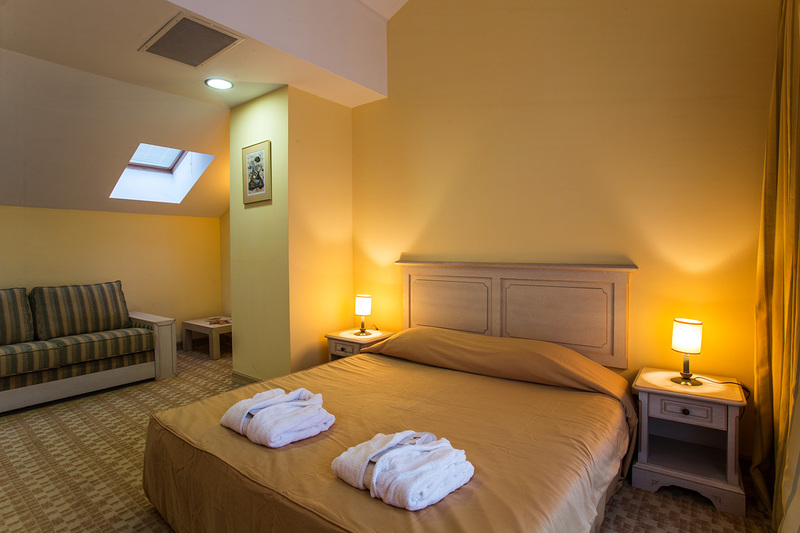 One of the bedrooms of the VIP apartment is furnished with a double bed and features a seating area and coffee table. The second bedroom of this apartment offers comfortable accommodation in twin beds that can be put together. Part of its interior are also working area, wardrobe and a place for relax. Dining room separates the two bedrooms and in it the guests can use elegant dining table and chairs or comfortable armchairs. 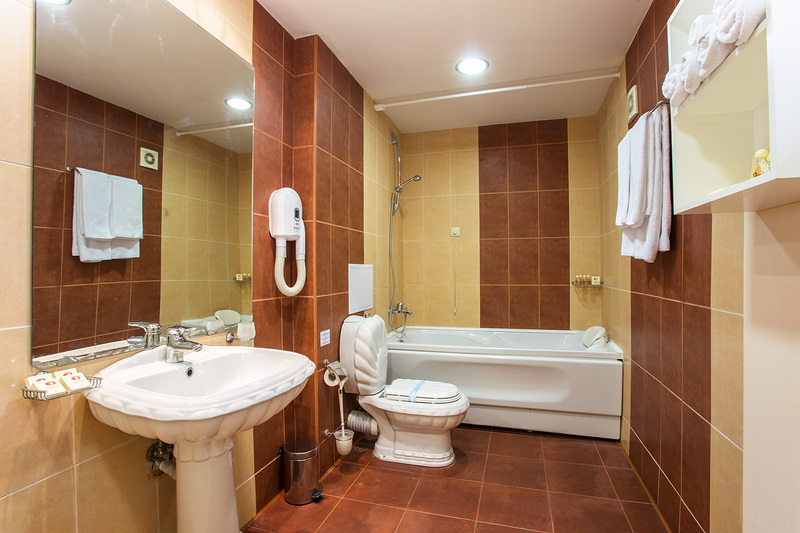 Bathroom of the VIP apartment can also be seen as a kind of place for rest - there guests can enjoy a luxurious whirlpool bath wherein to relax after a long hot day at the beach. 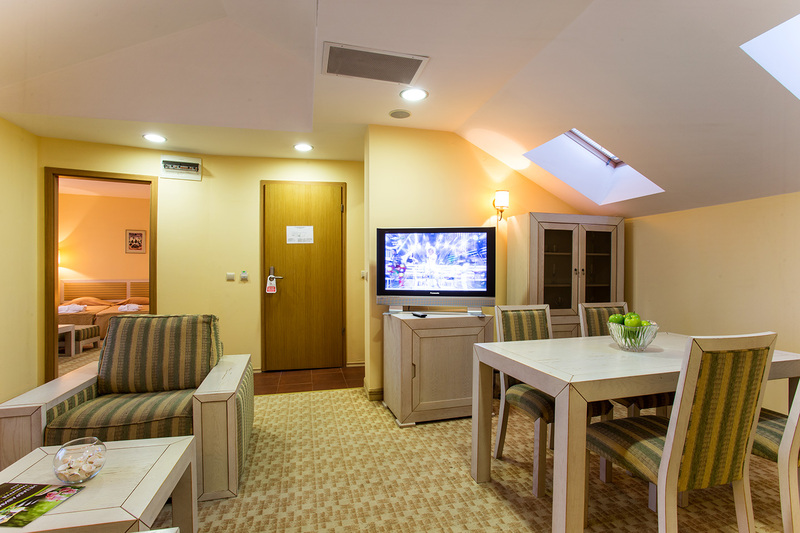 Each room in the VIP suite has an LCD TV with a wide selection of Bulgarian and international TV channels. Direct telephone, mini bar and possibility for individually controlled air conditioning, are still part of the extras of this apartment.